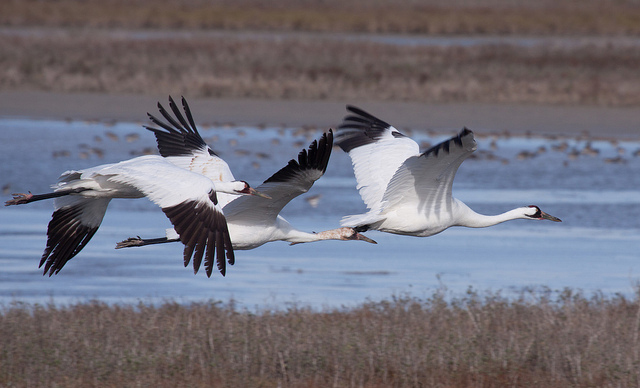 March brings restlessness to the wintering cranes as days get longer. The birds not raising families may now be northward bound. Cranes of the western flock that wintered in Texas could encounter dangerous weather if they left as early as the eastern flock from Florida. Birds heading to Canada must race for their nesting grounds where summers are short, but northern habitats may not be ready if they arrive too soon.